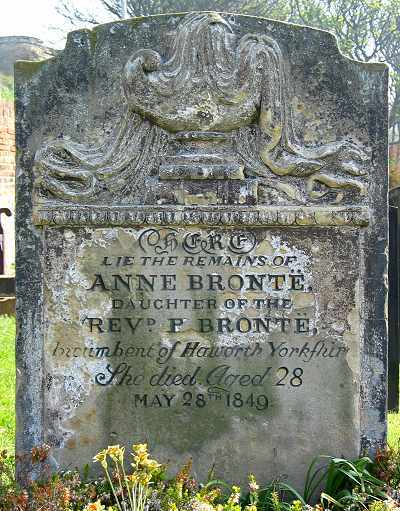 Anne is the only member of the Bronte family not buried at Haworth. She was suffering from the early stages of consumption and it was felt that the change of air might help relieve the symptoms. Charlotte requested that her friend Ellen Nussey accompany them on the journey which they began on 24th May 1849. 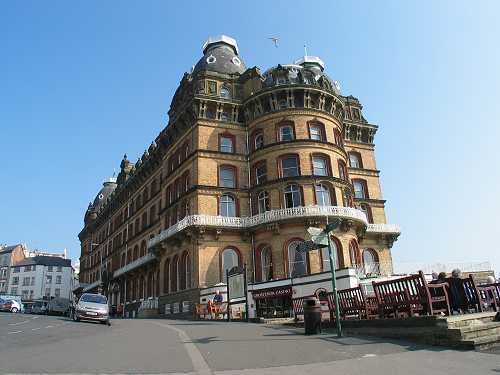 They booked rooms at the Wood's lodgings, No.2 the Cliff, which today is where the Grand Hotel (picture below) stands. 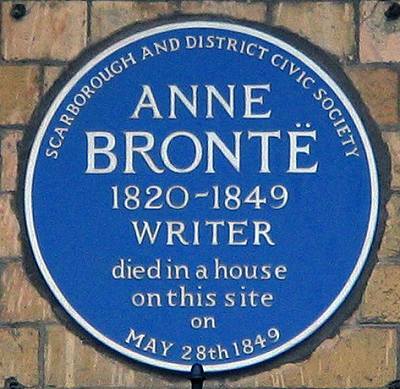 The plaque marks the site: "Anne Bronte 1820-1849 Writer died in a house on this site on May 28th 1849". 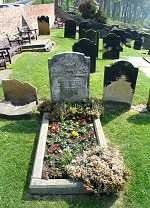 At the time St Mary's Church was being rebuilt, the funeral service was held at Christ Church which was close to their lodgings. The cortege passed through the steep narrow streets before arriving at St Mary's churchyard. 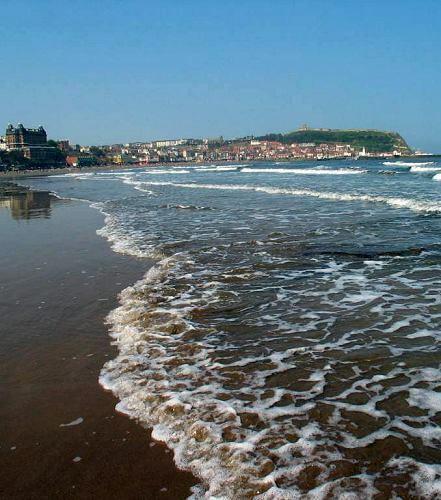 From May 23rd - June 2nd 1852 Charlotte visited Filey staying at the lodgings where she and Ellen had stayed after Anne's death. Visiting Anne's grave she was annoyed to find that the stone had 5 errors on the inscription which she instructed to be corrected. Today, the grave states Anne's age as 28 when it should be 29, she was born 17th Jan 1820. "when my foot was on the sands and my face towards the broad, bright bay, no language can describe the effect of the deep, clear azure of the sky and ocean...........there was just enough heat to enhance the value of the breeze, and just enough wind to keep the whole sea in motion, to make the waves come bounding to the shore, foaming and sparkling. ......I should soon have been deluged with spray. 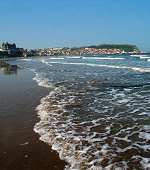 But the tide was coming in; the water was rising; the gulfs and lakes were filling; the straits were widening: it was time to seek some safer footing;"